When I got started with the Insanity program back in April, it didn’t take long for me to decide that I would not be following the included Elite Nutrition Guide very strictly. It was not that I lacked faith in the diet that it laid out for me… It is a very well designed and balanced plan. Having pre-designed meals so that you don’t have to count calories, carbs, protein and fat is incredible. 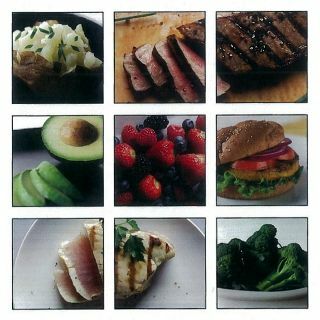 The problem was that I had some very specific needs/desires that I wanted to work in to my diet, and I couldn’t do that with the Insanity nutrition guide. In particular, I wanted to experiment with a low-carb ketogenic diet as well as intermittent fasting (IF). Even though I was keeping calories on par with where they would be following the nutrition guide, I suspected that my diet might not be sustainable through the second month with its higher-intensity workouts. After recalculating my nutrition requirements at my new weight, this has proven to be the case. I want to take a moment to outline why I think that is and what I will be doing about it. But first I want to note one thing about my original diet choice, and that pertains to IF. If you recall, IF is a way of structuring the timing of your eating, containing all meals in a day within a set window of time (generally 8 hours). Though I can’t speak to any of the supposed health benefits of IF, I just want to mention that it has been incredibly helpful in bringing my eating habits into perspective. Specifically, I now realize how often I used to eat when I wasn’t actually hungry. By not allowing myself to eat at certain times of the day I realized that often when I wanted to eat, I didn’t actually need to eat. I think this is a breakthrough realization for me and will be very helpful in keeping weight off in the future. That said, I have been noticing a general sluggishness as I try to complete my workouts in the second month. I think there are two underlying reasons for this. The first has to do with IF. I don’t eat before noon (more often 2pm) and after 8pm, all while trying to complete my workouts around 11am. This means that when I get started with the day’s workout, I haven’t eaten anything in 15 hours! And while I don’t feel hungry, my body definitely feels a shortage of energy. So I think with the higher intensity of the month two workouts, I need to eat prior to working out to make sure my body is sufficiently fueled. The second reason has to do with the composition of my diet. I am basically following a very low carb, ketogenic diet. Although I have still been eating the same number of calories as I would if following the nutrition guide, those calories are in a form that is perhaps metabolized more slowly. This didn’t seem to be an issue in the first month, so I will assume it has very little effect here and that the primary issue is IF. Therefore my solution is two-fold. Firstly, I will be removing IF from the equation. I think I have already benefited sufficiently from this little experiment as mentioned above. I may come back to IF at a future date, but for now it is more important to me to get a litte bump of energy first thing in the morning so I can better perform my workouts. 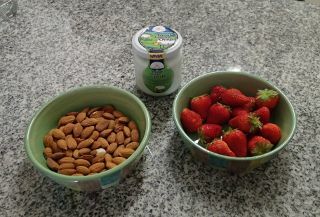 And secondly, I will slowly add some fruits, nuts and dairy back into the mix, primarily in the form of berries, almonds, pecans, cottage cheese and possibly yogurt. This will increase my overall carbohydrate intake, even if only just a little bit. In reality, these are all foods with very low net-carb count and I will likely stay in ketosis with these additions. In practice this will really only mean one change to my daily routine: I will have a small meal when I wake up to provide energy for my workout which I will complete an hour or two later. This meal will contain the foods mentioned above – likely a small bowl of yogurt with berries or something similar. Everything else will remain more or less the same. I will continue to follow up with a large meal shortly after the day’s workout and another around 8pm. I will also continue to log my food and exercise using MFP. And that’s it! Nice and simple, don’t you think? But once again, in the interest of transparency I wanted to provide an update on my blog since I this is a deviation from the original plan. And what about you? How has your diet fared so far and are you making any changes for month 2? Let me know in the comments below.